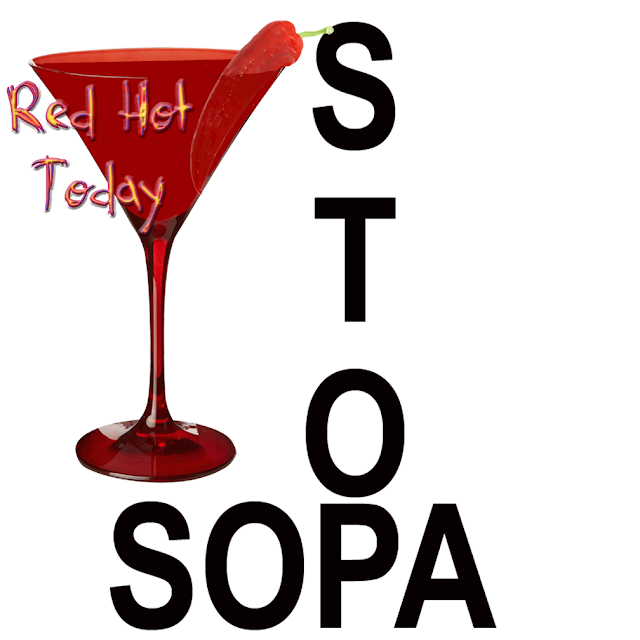 Le Café Politique De Camus De Café: STOP SOPA: …CONTINUE THE PRESSURE! Patrick Leahy, D-Vt., who chairs the Senate Judiciary Committee and first ..... ruin the internet and our right of free speech, its stupid, and pointless. .
Today Could Be The Day We Save The Free Internet. The US Congress was poised to pass a law allowing officials to censor access to any website around the world. But after we delivered our 1.25 million strong petition to the White House, it came out against the bill and with public pressure at a boiling point even some bill backers are switching sides. Now, the Wikipedia - led blackout protest has rocketed the public campaign to the top of the news. The bill would make the US one of the worst Internet censors in the world -- joining the ranks of countries like China and Iran. The Stop Online Piracy Act (SOPA) and PROTECT IP Act (PIPA) would allow the US government to block any of us from accessing sites like YouTube, Google, or Facebook. This US legislation could infringe on all of our freedoms. But if we win, we will show that when people unite with one voice from all over the world we can stop the abuse of power anywhere. We have brought this bill back from the brink. Now, if we amplify our voices today, we can put an end to the most powerful Internet censorship threat that the world has ever seen. President Obama has expressed concerns about the bills, but hasn't pledged to veto them. Please click here to urge President Obama to promise to veto SOPA and PIPA. There's enough opposition to these bills now that even if they pass, the won't be able to overcome a veto. A promise to veto the bills will force opponents into a full retreat, and be the perfect way to cap off this week's protests. We'd be able to declare a victory for the Net, free speech, and democracy. Today, major tech advocates are dimming their websites in protest over a proposed new law that would result in our government blocking access to websites that contain copyright infringing material. And they’re right to be concerned. There are two bills pending before Congress — the Stop Online Piracy Act (SOPA) in the House and the PROTECT IP Act (PIPA) in the Senate — that would not only impact unlawful infringing content, but also a wealth of completely legal content that has nothing to do with online piracy. We opposed SOPA in its original form mostly because the impact on non-infringing content would violate the First Amendment right to free speech of the owners and authors of that content, as well as the rights of Internet users to access that content. In fact, we were asked to present our views at a hearing of the House Oversight and Government Reform Committee scheduled for today and submitted our testimony in preparation for that hearing. But the hearing was postponed after SOPA’s proponents promised to significantly change the bill and after House Majority Leader Eric Cantor proposed not to bring any bill to the floor for a vote unless it represented a true consensus of those who support and those who oppose SOPA. Because of those developments over the weekend — and because the White House also issued a statement opposing any bill that would impact First Amendment-protected online content — we are redoubling our efforts to find the compromise that will not only inhibit online infringement of original works of art, but also will truly eliminate online access restrictions to lawful non-infringing content. So even though we are not dimming our website, we stand with those who are and urge those concerned about open access to the Internet to continue tocontact their Members of Congress to voice their opposition to SOPA. There is way to help reduce online infringement without violating the First Amendment rights of online content producers and their readers and users. We’re counting on our elected officials in Congress to do the hard work to figure it out. In his SOPA advocacy, Dodd has resorted to holding up Chinese censorship as the desired model, mouthing the slogans of despots, and even outright lying. Like virtually all extremist, oppressive bills backed by large industry, SOPA and PIPA have full bipartisan support; among its co-sponsors are Democratic Sen. Patrick Leahy and GOP Rep. Lamar Smith, with many Senators from both parties in support and Harry Reid pushing it. Opednews.com stands with Google, Wikipedia, and countless other Internet activists protesting Internet censorship today. The Stop Online Privacy Act (SOPA) and Protect-IP Act (PIPA) threaten the many glorious freedoms of the web and the communities that have risen from it--including our own. On January 18th, 2012, from 8am to 8pm Eastern, the Oath Keepers website will go dark to protest the looming SOPA (House) and PIPA (Senate) Bills. We are joining with many other websites across the internet who are also going dark in protest. Our First Amendment protected right of free speech is now directly under assault by a berserk U.S. Congress and White House. Our voluntary black-out is being done in conjunction with countless other websites to help the public understand the serious dangers in SOPA and related bills awaiting passage in Congress right now. “NOTICE: THIS SITE HAS BEEN DECLARED AN UNLAWFUL BELLIGERENT SITE BY THE U.S. GOVERNMENT OR ONE OF ITS CORPORATE PARTNERS. THIS SITE HAS BEEN BLACK BAGGED AND DISAPPEARED IN THE NAME OF NATIONAL SECURITY, AND IS NOW INTERNED IN GITMO. That is the kind of Orwellian world the internet will have become, under SOPA/PIPA or other such nonsense. The First Amendment is first for a reason. Please join me in adding your name to this petition regarding the freedom to post information on the internet. It seems that there is a law being considered today regarding the free exchange of information on the internet. While it seems that this is a fundamental right, perhaps we shouldn’t assume that this right will be protected without making our voices heard. Will you sign our pledge to work against candidates who support Internet censorship? Just click here.